Historically, clean energy subsidies have gone predominantly to higher-income Americans. A recent University of Berkeley study found at the national level the bottom three income quintiles received only 10% of all tax credits, while the top quintile has received about 60%. Washington State has made important investments in energy efficiency in low and moderate income households through the weatherization program. Investments in renewables and clean energy technologies, such as the solar production incentive, electric vehicle sales tax rebate, and the Clean Energy Fund, however, have historically been silent on distributional impacts across equity indicators, such as income, wealth, race, or zip code. Given the upfront costs of a solar installation or an electric vehicle, however, it seems likely very few households with lower incomes are directly receiving these incentives. The 2017 Washington solar production incentive (82.16.165) also failed to equitable direct costs and benefits. However, it does request an evaluation of “whether or not community solar projects are being deployed in low-income and moderate-income communities,” including, “a description of any barriers to project deployment in these communities.” The legislation also ensured at least some incentive dollars would be distributed through a shared-ownership “community solar” arrangement of ten or more participants, which in theory could lower the cost of participation. The Washington State University, which is implementing the new law, is asking community solar applicants if they have strategies for low and moderate income household participation and if their program is intended to create benefits for those households. 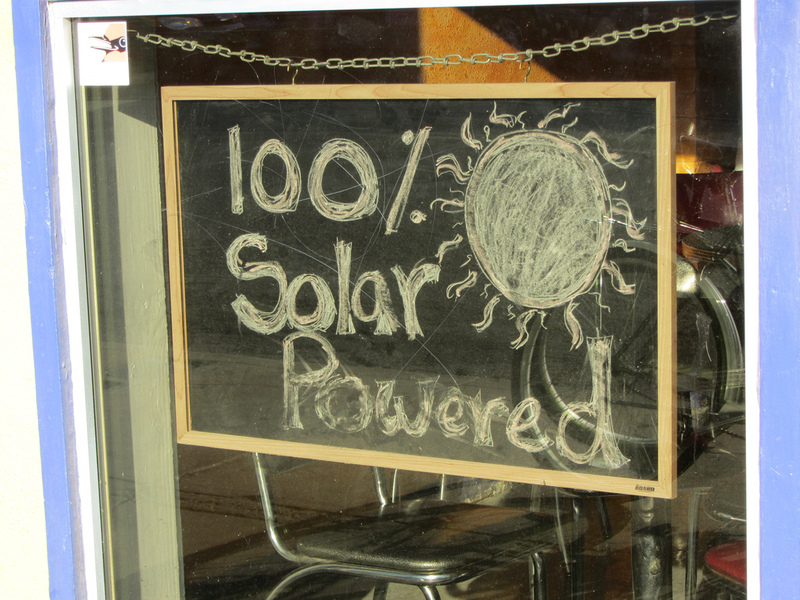 Initial indications suggest some community solar administrators are eager to find ways. Whether its grant funding, cross-subsidizing higher priced or donated shares with lower priced or free shares, or using revenue from shares to subsidize weatherization or bill assistance programs. Spark Northwest and Emerald Cities are assembling a unique partnership that will install community solar on low income housing and drive state incentives to tenants with no cost to participate, supported through Seattle City Light, the federal tax credit for solar, and hopefully the state community solar incentive. However, there is no targeted state support for projects to engage and benefit lower income households, leaving these individual projects little security. Moreover, there is no accounting that easily allows us to follow the incentives and see who is participating. It’s clear more legislative authority is needed to build on the innovation of individual projects that requires distributional consideration in solar incentives. To lay the groundwork for that, we need to be collecting information now that tells the story about who these incentives are missing and how it can be done right. WSU has made a good start in asking about the strategies and benefits to engage lower income households. Front and Centered believes partnerships with trusted community organizations will be critical to successfully engaging diverse communities as well as language and cultural appropriate outreach, and critically, participation of historically marginalized communities in program design. These issues should be included in the application questions. The UTC, which oversees non-utility applicants, should also be asking similar questions. This is not only a information gathering opportunity, but also an educational opportunity that these are part of any good program. In addition to gathering qualitative data on the programs being developed, WSU and the UTC should be requesting quantitative anonymized data about the actual results of who is participating. This should include information about income range, zip code, race/ethnicity, and language that will allow us to better assess how state money is reversing or reinforcing existing barriers to clean energy. While we do not yet collect demographic data on participants in solar incentives, the state does collect geographic data. This data should be made available to the public, in aggregate, to enable independent analysis. Solar deployment site and capacity maps, which are produced by WSU for both SolarPlus, a Department of Energy Funded project, and the production incentive, can be overlaid on environmental justice maps to visually illustrate equities or inequities. Front and Centered is working with a team from UW and the State Departments of Health and Ecology to develop a map layer that shows the comparative cumulative risk to communities from pollution, socio-economic barriers, and health by census tract that can be used in combination with solar data. This mapping should include both solar sites and participants in community solar. Overall, the State lacks a space to design and report on the distributional effects of the clean energy transition, and specifically the state’s own strategies like solar production incentives, state grants to schools and local government, and more. A group that includes equity advocates, the Department of Commerce, utilities, energy advocates, the state’s ratepayer advocate Public Council, and the Utilities and Transportation Commission began to deconstruct this issue at a recent workshop with the Rocky Mountain Institute. Check back on the Front and Centered Blog for more information. Direction from the Governor or the Legislature to assess both harms and benefits for their impact by income, wealth, race, and language group when spending state dollars would go a long way toward remedying this gap, even while we piecemeal strategies that can show the way.